Revolutionary, spy, and wily businessman. 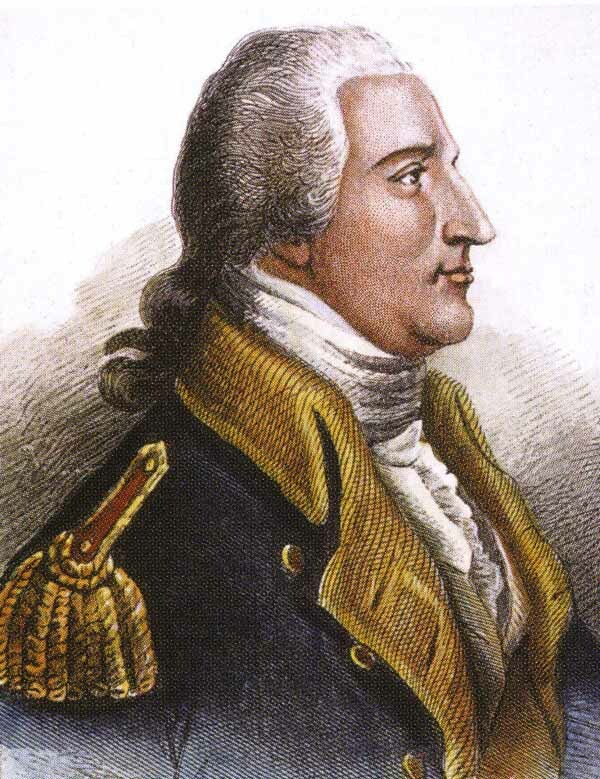 Benedict Arnold (January 14, 1741 – June 14, 1801)was born in Norwich, Connecticut, on January 14, 1741. A member of the Sons of Liberty, Arnold rose to the rank of general in the Continental Army during the Revolutionary War. He subsequently became a spy for the British, plotting to arrange a siege of West Point. When the plans came to light, Arnold defected to the British side. When word of British surrender reached New York, Arnold requested leave to return to England with his family, which he did in December of 1781. Over the following years, he repeatedly attempted to gain positions with the British East India Company and the British military, but was unable to find a place for himself. In 1785, Arnold and his son Richard moved to Saint John, New Brunswick, where they speculated in land and established a business doing trade with the West Indies. 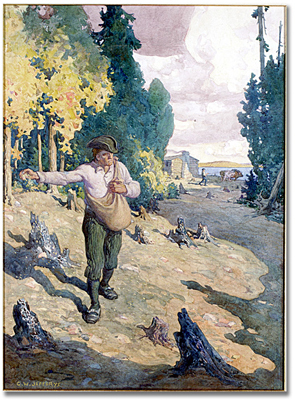 Arnold purchased large tracts of land in the Maugerville area, and acquired city lots in Saint John and Fredericton. Delivery of his first ship, the Lord Sheffield, was accompanied by accusations from the builder that Arnold had cheated him; Arnold claimed that he had merely deducted the contractually agreed amount when the ship was delivered late. After her first voyage, Arnold returned to London in 1786 to bring his family to Saint John. While there, he disentangled himself from a lawsuit over an unpaid debt that Peggy had been fighting while he was away, paying £900 to settle a £12,000 loan he had taken while living in Philadelphia. The family moved to Saint John in 1787, where Arnold created an uproar with a series of bad business deals and petty lawsuits. Following the most serious, a slander suit he won against a former business partner, townspeople burned him in effigy in front of his house as Peggy and the children watched. The family left Saint John to return to London in December 1791. In July 1792, Arnold fought a bloodless duel with the Earl of Lauderdale after the Earl impugned his honor in the House of Lords. With the outbreak of the French Revolution, Arnold outfitted a privateer, while continuing to do business in the West Indies, even though the hostilities increased the risk. He was imprisoned by French authorities on Guadeloupe amid accusations of spying for the British, and narrowly eluded hanging by escaping to the blockading British fleet after bribing his guards. He helped organize militia forces on British-held islands, receiving praise from the landowners for his efforts on their behalf. 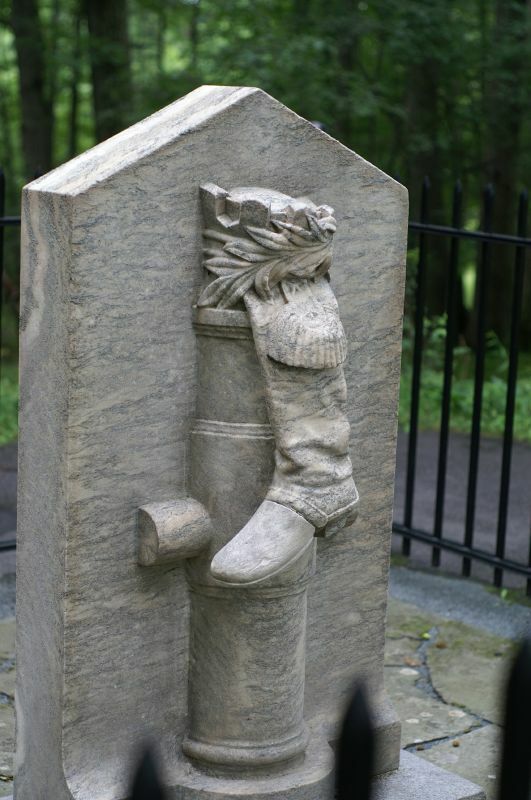 This work, which he hoped would earn him wider respect and a new command, instead earned him and his sons a land-grant of 15,000 acres (6,100 ha) in Upper Canada, near present-day Renfrew, Ontario. Canadian historians have treated Arnold as a relatively minor figure. His difficult time in New Brunswick led historians to summarize it as full of “controversy, resentment, and legal entanglements” and to conclude that he was disliked by both Americans and Loyalists. However, Arnold’s descendants ended up establishing deep roots in the country, becoming leading settlers not just in Upper Canada, but later in lands further west, where they established settlements in Saskatchewan. His descendants, most of all those of John Sage, who adopted the Arnold surname, are spread across Canada. His long woollen British scarlet military jacket with a buff lining continues to be owned by descendants; as of 2001, it was held in Saskatchewan. It has reportedly been passed in each generation to the eldest male of the family. Primary source: Wikipedia – http://en.wikipedia.org/wiki/Benedict_Arnold.